Thank You Representative Bob Freeman! Homeowner Associations across the state of Tennessee appreciate the efforts of Tennessee Representative Bob Freeman in opposition to SB 1429 – HB 1290. If adopted, the bill would take away a neighborhood association's right to defend itself from out of state home rental companies. Representative Freeman states, “Large firms are coming in, buying homes and renting them long-term. We should have the right to regulate them.” (Nashville Post, April 9, 2019 article). Ghertner & Company, along with the Community Associations Institute, encourages HOA board members to contact their State Representative today to voice opposition to SB 1429 – HB 1290. Ghertner & Company held a Fair Housing seminar for its managers, leadership and staff recently as part of the ongoing in-house training. Gerald Wigger from the Ortale Kelley law firm led the seminar. Mr. Wigger is an experienced civil litigation attorney who focuses on homeowners’ associations, premises liability, personal injury, homeowner’s association disputes and insurance defense. Ghertner & Company is committed to providing its managers with the highest level of support for the community’s success. There are multiple species and sub-species of termites. The two largest classifications are Drywood and Subterranean. Drywood termites build their colonies in wood. Subterranean Termites build their colonies under the ground. The Subterranean Termites do they most damage to homes in the United States. Numbers go into the billions! Drywood Termites do damage as well. Their damage reports go into the millions! Many black termites with white wings are often wrongly identified. These caste termites sent out to start new colonies. How can termites quickly do damage? In other words- they never sleep! They are one of Earth’s few living species that are awake 24 hours a day, 365 days a week. 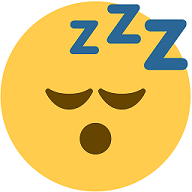 Could you imagine how much work human’s could accomplish if they never sleep. If you see a small amount of winged termites around your windows, there is no need to panic. A small number of winged termites usually signifies an aging colony. If you see any termites, it is imperative that you have a home termite inspection. 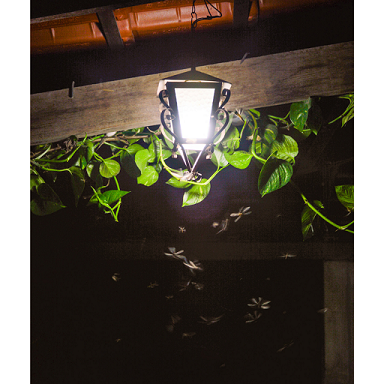 In the evening, if you have a lot of outside porch and house lights you may be attracting termites to your home. It’s true. Termites are attracted to the light. In conclusion, the lack of outdoor lighting can have consequences, but it is important for safety. The non-profit organization, Both Hands, fills a unique need in the community by serving widows with much needed household projects while also assisting adoptive families with the enormous related expenses. The process is simple: adoptive families gather a support team that uses the widow’s home repairs as a fundraising project. The work for the widow is done free of charge and the adoptive family’s support team collects money from their sponsors once the work is complete. Both Hands refers to one hand assisting the widow and the other hand helping the orphan to be adopted. Learn more at www.bothhands.org. Pictured at the check presentation are Both Hands team members Bethany Purdy, Founder JT Olson, John Ericson and Aimee Sipe. Ghertner & Company associates present were Jaye Kloss and Kim Maynord (centered behind the check). In an effort to support organizations within the Middle Tennessee that are making a difference, Ghertner & Company is providing a $500 donation. As part of the ongoing Human Resources Lunch and Learn series, an Active Shooter Awareness Presentation was made available for Ghertner & Company associates on February 20th. Kevin Johnson, Assistant Director of Training for the Nashville Sheriff’s Office shared about the need for preparedness and offered many practical tips that should be considered and implemented in the case a situation ever occurs. Attendees were able to ask questions and participate in the discussion. Fun Team Building Event with a Purpose! The Valentine’s holiday provided a great opportunity for an exciting team building event that showed the heart of Ghertner & Company associates. Team members participated in a collaborative craft session by decorating a canvas that focused on the non-profit organization, Both Hands. During lunch, a silent auction featuring team member and vendor donated items raised $1,500 for the charity! The event served as a good time to build camaraderie and benefit a local organization making a difference in the Middle Tennessee community. Both Hands focuses on assisting families in raising funds for the expensive process of child adoption by doing various projects on widow’s homes. Learn more at BothHand.org. Many Home Owner Association Board members attended the February Lunch & Learn where they were able to learn principles of Time Management and how they relate to their role. Focus and discussion dealt with practical ways to balance board members volunteer roles with life. Attendees also enjoyed a complimentary lunch and one on one time with Community Association Managers and other Ghertner associates. Two Lunch & Learn seminar opportunities will be available in March dealing with Community Standards, Rules and Regulations. Find out more by emailing or calling Theresa Savich at theresa.savich@ghertner.com or 615.277.0346. 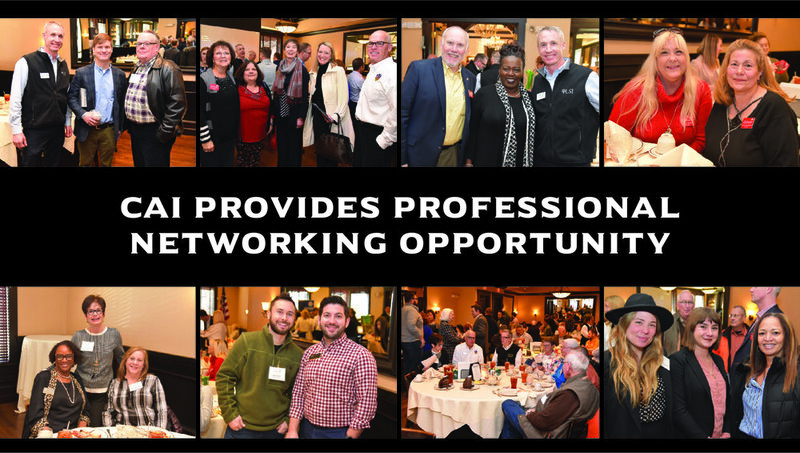 The Tennessee Chapter of CAI (Community Associations Institute) met on Friday, January 25th allowing many opportunities for networking with industry professionals. Several managers, on-site personnel and members of the leadership team were present. Ghertner & Company encourages involvement in the association through attendance, committee involvement and by serving on the Board. CAI is dedicated to enhancing the quality of Community Association living through education, legal advocacy, professional development and networking opportunities. Learn more at www.caitenn.org. 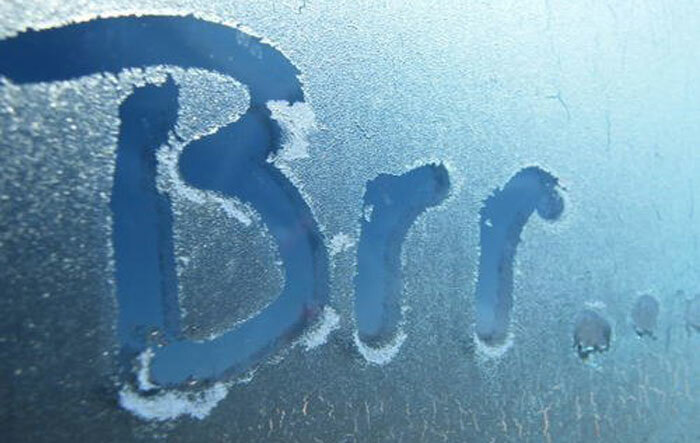 We cannot emphasize too much or too often the precautions to be taken to prevent frozen or burst water pipes during cold weather. These bursts not only cause you as the homeowner inconvenience and damage, they also cost you money. This is because the insurance deductible for water bursts is high, and you will be responsible to pay the deductible for any cold weather-related burst in a water line serving your unit only. This may include the outside faucet, depending on your Community Association. If applicable, close all foundation vents. Outside hoses: Disconnect all hoses from outside connections, and then run water for a few minutes to be sure pipes leading inside are not still holding water from when the hose was connected. This is the most common cause of bursts in the water line for outside faucets, and often the damage is not discovered until the faucet is used again in the spring. Leave some water running in faucets farthest away from the water heater, or where the faucet is on an exterior wall. The colder the weather, the more water should flow. Open all cabinet doors beneath sinks, wet bars, etc. so warm air from the room can circulate around the pipes. This is very helpful. Turn on the outside faucets to be sure they are working properly. While they are on, check the wall and carpet at the inside wall nearest the location of the outside faucet. Water could indicate that the line is broken inside the wall. If you see water, call your Plumber or if applicable your Community Association Manager, and do not use the outside faucet until it has been inspected and/or repaired by a qualified technician. Turn off the water at the inside cut-off, if you have one – or at the outside cut-off. Call your plumber to make repairs or if applicable to your type of community the Community Association Manager at Ghertner & Company during normal business hours of Monday-Friday from 8:00-4:30 at 615-255-8531. The after-hours maintenance emergency number is 615-255-4736. If you are going out of town, even for a short time, please consider leaving the heat set at a minimum of 65 degrees. You may choose to leave a key with a neighbor, in case of an emergency. Know the location of your water cut-off, and how to turn off all water. This information is also helpful when you make plumbing repairs or change plumbing fixtures. With the vision of ceasing hunger in America by refusing to let neighbors go hungry, Feed America First, takes on the role of receiving large scale food donations and then distributing them to 200 partner agencies in the region. This non-profit organization’s from “truck to trunk” mindset allows them to distribute over 950,000 pounds of food every month. For every $1 donated, Feed America First is able to provide 10-15 meals. Learn more about how to offer support or volunteer at www.feedamericafirst.com. Ghertner & Company continues to give back to the Middle Tennessee community by supporting meaningful organizations with financial support and donations. Receiving the check on behalf of Feed America First is Tom Henry, Founder and Co-Executive Director and Dave Speer, Board President. Jan Speer, Dave’s wife, is the board president at Willow Springs, a Ghertner & Company managed property. Ghertner & Company team members pictured are Deborah Wallace, Jaye Kloss, and Michael Ryckeley. First impressions are everything in business. When potential clients pass by a place of business, a positive first impression from a quality paint job done by a commercial painting contractor is key to grabbing and keeping their attention. Curb appeal includes investing in quality work, done by quality contractors who have proven results. 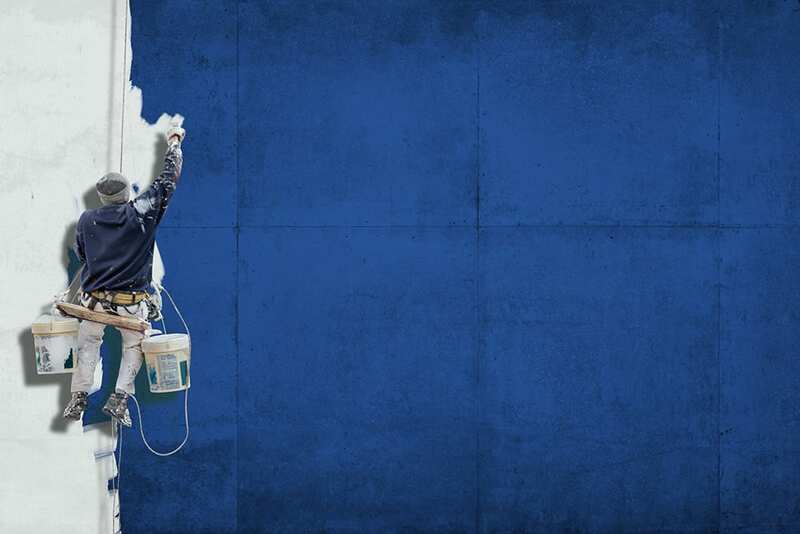 When it comes to finding your next commercial painting contractor, know what to ask when you begin your research. These following six questions are a great place to start when identifying who will be doing the next painting project for your shopping center, multi-family complex, or retail store. Is the company properly licensed to perform commercial painting? Does each of the contractors working for the company have a valid, up-to-date license for themselves? If the answer is not Yes, move on. You are not protected in maintaining a quality of work with an unlicensed worker. Each commercial painter and company has a lot to lose if the job is not completed to terms as noted and signed in a contract. Does your company have the proper insurance? Is the company bonded and insured in case of any problems or accidents while they are working at your business? While you may have insurance for your business, they should be responsible for any mishaps or problems which occur during their work. Go the extra mile and request their insurance information and contact them to ensure the insurance is correct and valid. You will want to ensure they have comprehensive business liability and workman’s compensation insurance in place. Does your company have references reviews and warranties? Many commercial painting contractors will have a list of references from previous projects and often times contacts at those locations who have reviewed the quality of work which was completed. If you are able to speak with past customers, they may be able to share any positive or negative feedback. If there has been problems, it will help you identify them and potentially avoid future issues. Always ask about warranties offered. If there is a warranty, it can help save you money in the long run, rather than have to pay more to have something fixed, which wasn’t your fault in the beginning. How long with the project take and who will be my point of contact? You will always want to get as detailed a report as possible when it comes to the time it will take to complete a project. Owning a business, you must have commercial painting contractors who are up front and honest about project timelines. What type of products will be used on our building? The types of products are always a concern when investing in a commercial painting contractor. At Renovia, we identify the best products based on the type of project. Never assume the contractors you speak with are planning on using the highest quality of products. Often times you will get a low quote and if you accept and the job is done with lower quality products, you will be back redoing the project much sooner than needed. How much experience does the commercial painting contractor have? Begin the conversation with questions around the company’s background to learn more about them, how long they have been in business. Commercial painting contractors who build quality teams with experienced workers who love what they do, great results will follow. Don’t be afraid to ask how many jobs they have completed, if there have been any high profile jobs or how many years of service they have in the industry. Finding a quality commercial painting contractor can at times present a challenge. Having a list of questions to start will help you narrow down, eliminate and hopefully identify the top one to three candidates for the job. Once you have narrowed down your search, then ask for a quote so you can do a full comparison based on the job at hand. First Lunch & Learn of 2019 Is a Success! Home Owner Association Board members participated in the first Lunch & Learn of 2019 by brainstorming solutions for the challenges faced by many communities. With the emphasis on Strategic Planning and Board Dynamics, many board members took advantage of the opportunity to work in small-groups on specific issues. The February 12th Lunch & Learn seminar will explore the topic of "Time Management". 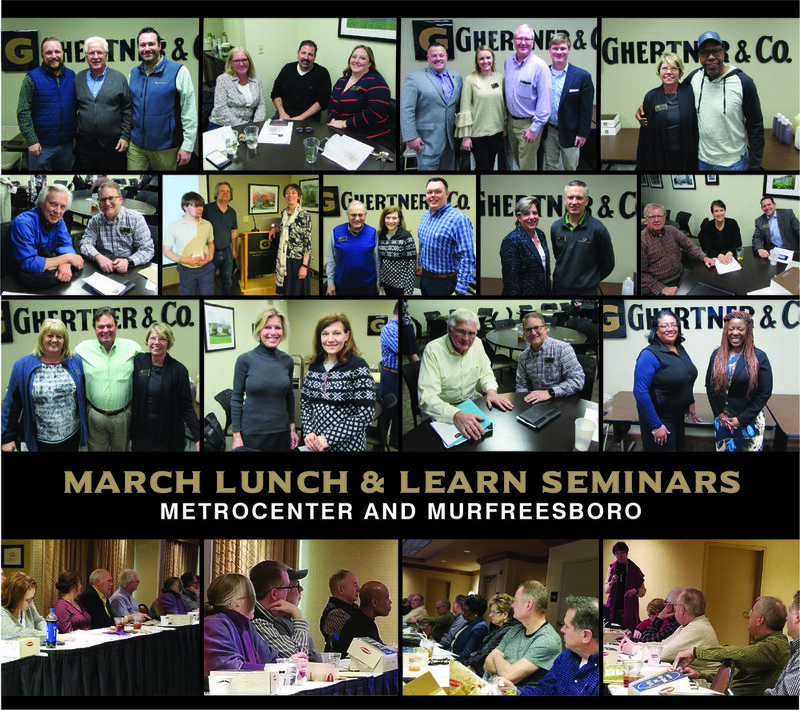 Complimentary lunch will be provided and the event starts at 11:30 a.m. Reserve your place by emailing or calling Theresa Savich at theresa.savich@ghertner.com or 615.277.0346. Take advantage of the busy dormant season! Develop a master landscape plan for your community. Your service provider can help create this plan, which will act as a guide and resource tool for the community moving forward over the next 1-5 years, helping you prioritize projects, make educated decisions, and budget accordingly. A plan will remove the haphazard guess-work from the equation, which typically results in a mediocre final product. A master plan for the community will typically cost extra, but may be the best money you ever spend on the community’s behalf, as it will reap good returns on the investment. You will need to engage a competent service provider for a project of this caliber, likely one with a landscape architect or experienced designer. Engage your service provider to perform a site ‘Audit’ that lists items that need to be addressed such as safety concerns, enhancement projects, plant replacements, etc… This audit can help guide you in regards to more immediate spending needs and short term planning. An audit of sorts, depending on its complexity and scope, is usually offered by service providers at no extra charge. Conducting such an audit during the dormant season is beneficial, because many landscape related tasks are best performed in the winter season. Perform any major tree work or tree pruning during the winter season, as trees respond more favorably to such cutting when performed while they are dormant and not actively growing. Conduct ‘Rejuvenation’ type pruning of tired &amp; overgrown shrubs and hedge rows during the winter season too. This type pruning refers to a significant cut-back of the shrubbery (usually removing ½ or more of the existing foliage) to re-shape and/or re-size the plant material. This service will promote the health and vigor of the plants resulting in an extended life-cycle, and create a safer environment while delivering a newer and fresh aesthetic. The dormant season is also an optimal opportunity to have one-on-one conversations with your service provider about the expectations and goals of the community, while scheduling all the work early in the year to ensure a smooth start for the upcoming growing season and minimize any surprises. The dormant season is actually a busy time of year for your qualified landscape service provider. Spring is less than 60 days away, so start preparing now! Our Kids Center and Ghertner & Company - A 20 Year Partnership! Every December, over the last twenty years, Ghertner & Company has supported the Our Kids Center with financial and material donations. This organization provides expert medical evaluations and crisis counseling in response to concerns of child sexual abuse. Our Kids is dedicated to increasing community awareness of child sexual abuse, conducting research and offering education and training about the issue. In 30+ years, over 26,000 children have been evaluated with free 24/7 service for 47 Middle Tennessee counties. Helpful resources are available for families and individuals at www.ourkidscenter.com. Receiving the check on behalf of the Our Kids Center is Hollye Gallion, Denise Alexander, Jill Martindale from Scott Ghertner, Co-President of Ghertner & Company. Others Ghertner & Company associates present are Jaye Kloss, Kerry Chapman and Mark Darden. St. Luke’s Community House creates a community where children, families, and seniors from different backgrounds can easily access the resources needed to live fulfilling lives. Deborah Wallace's team of Community Association Managers volunteered on December 7th, helping families shop for gifts at their annual Christmas House Toy Store. This was a fun opportunity to give back to the community and grow as a team. For decades, the St. Luke’s Christmas programs helped deserving families and seniors have presents under the tree. Instead of accepting free gifts someone else chose for their children, parents can now purchase new toys for a very small amount they can afford. Many of you may be planning on taking a vacation away from home. If this is the case, don’t let a would-be thief know when your home is empty. Homes which appear to be occupied or lived in will have less chance of being burglarized. • Lighting is one of the most important and yet easiest ways to make it appear as if someone is home. Investing in timers for your lights is much better than simply leaving your lights on. Timers can also be used on radios and televisions. • Ask your neighbor to assist you in collecting mail. • Don’t leave notes to anyone that you are not at home or when you plan to return. • Don’t leave a recorded message that you are not at home on any voicemail. • Don’t make social media posts about your vacation public for anyone to see.